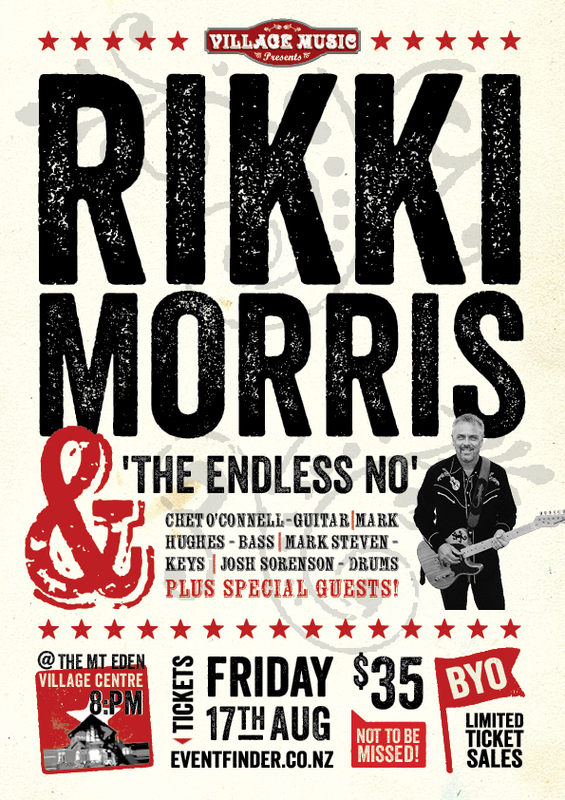 This is Rikki's first ‘originals’ show with a band for over 20 years! Playing the #1 hit ‘Nobody Else’ and the song which won Rikki the APRA Silver Scroll in 1991, ‘Heartbroke’. Plus songs off his album ‘Everest’ produced by Eddie Rayner. As well as some brand new songs which have been hatching periodically over the past few years....never played or even HEARD in public before. It’s all about the songs. It’s about the connection. The familiarity of a story that touches you somewhere on a deeper level. The comfort in knowing that you’re not alone. Time to put the band back together, hit the stage and share these songs amongst friends in an intimate setting. Time to set them free.